It’s been a while! 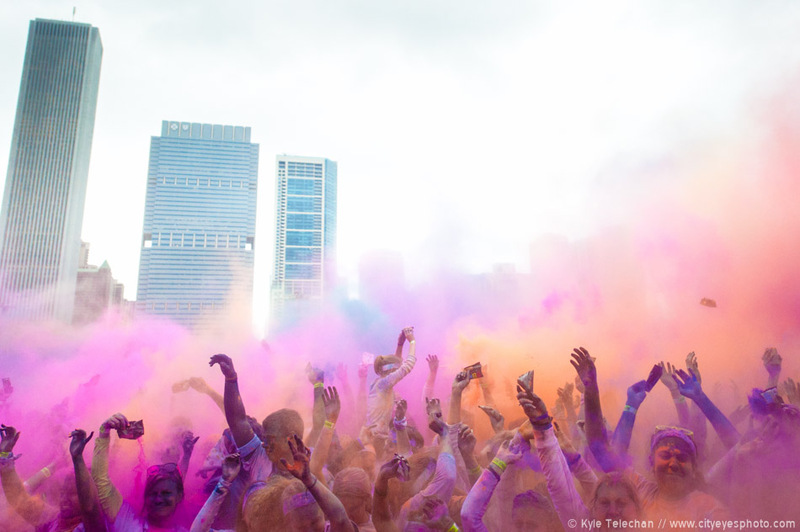 After a server move and redesign, I figured I’d get jump straight back into publishing on my blog with the sequel to one of the most fun 5k runs that I had ever shot – The Color Run! What started with, what I assumed, would be an incredibly water-logged day, shaped up to be pretty great. 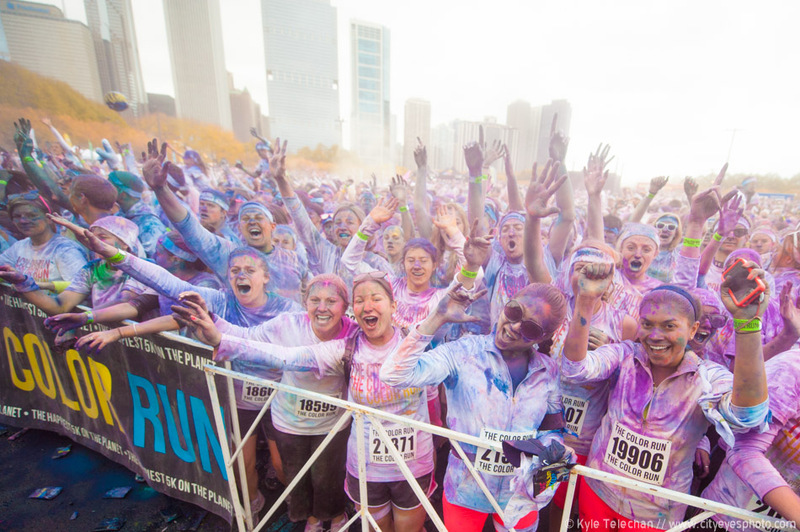 Did I miss the blue skies from the first Chicago Color Run? Sure, but the great temperature and the fact that I wasn’t soaked by the end of the day totally made up for any overcast skies I had to deal with. My friend and I arrived with no sleep, but our excitement for the race kept us wide awake. 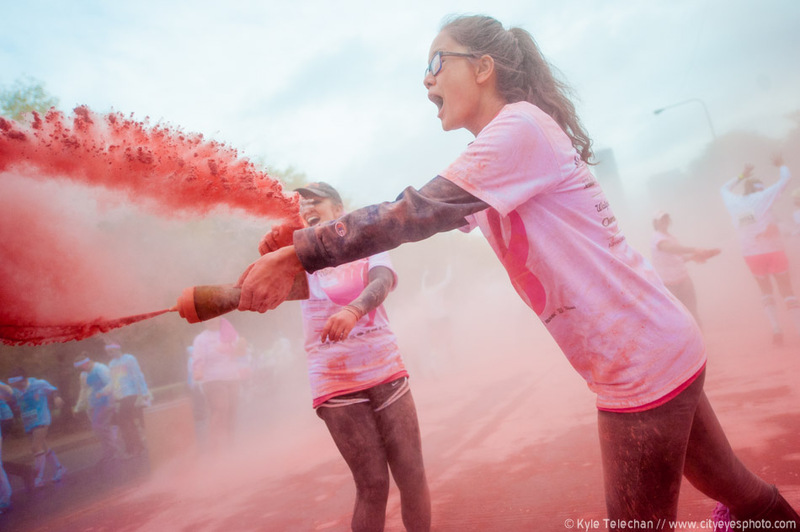 We walked along the course as the runners started and caught up with them at the second color station. 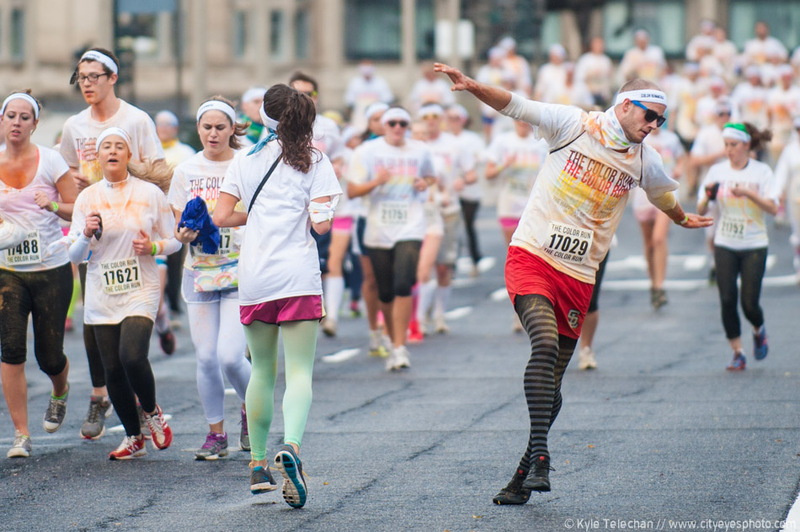 The runners were pumped – this guy was even dance-running. 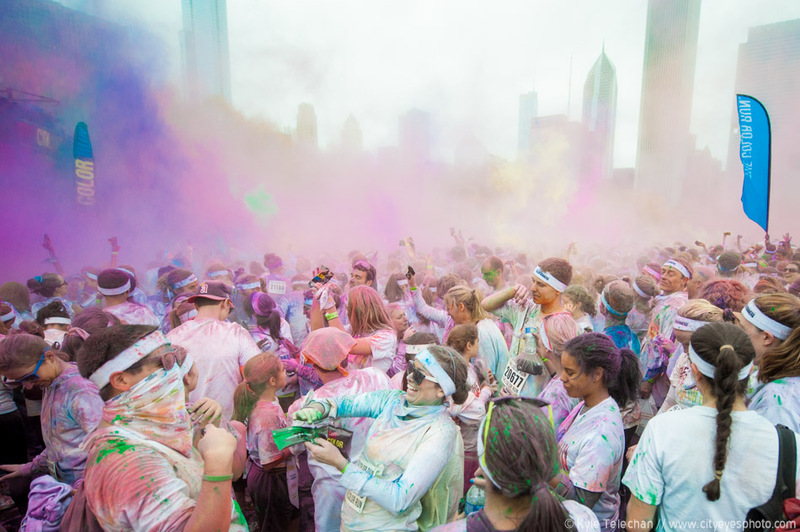 The color stations were massive fun, but it was challenging to get a shot with my wide-angle that wasn’t completely covered in powder. 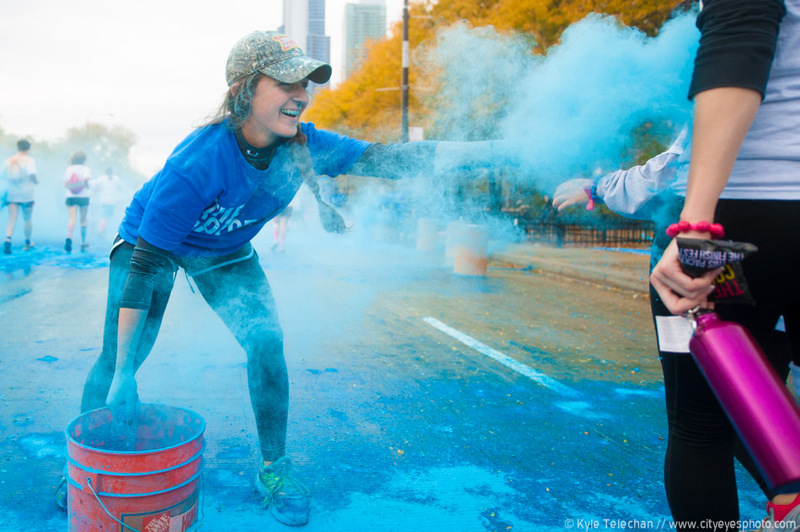 Here’s one of the volunteers blasting a runner with a handful of blue pigment. 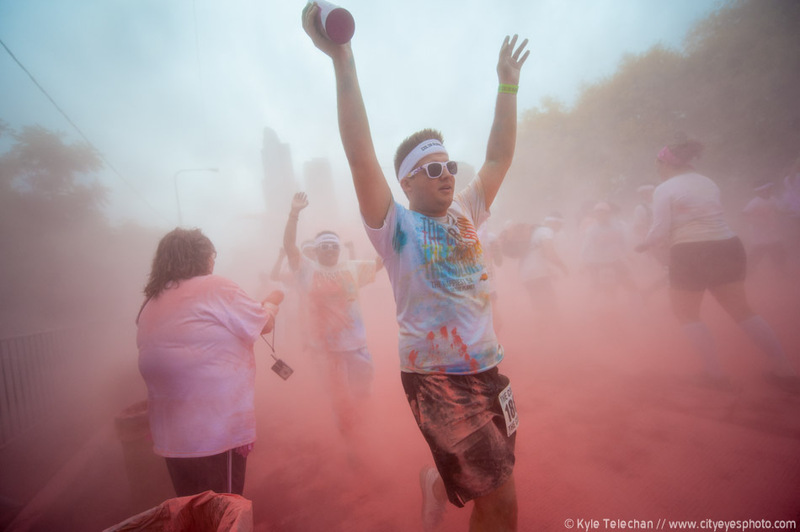 Making our way toward the finish line, we hit the pink color station, which was the first station that I really got doused myself at. 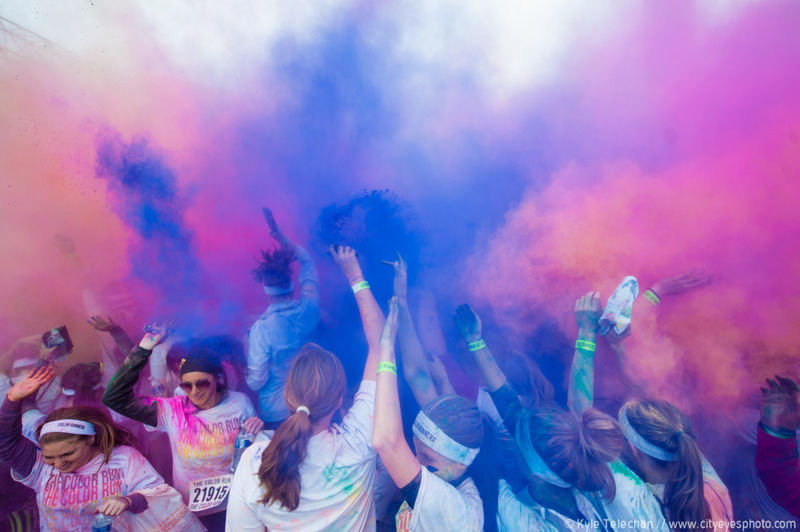 We showed up at the finish line just in time for the second color throw. I ran up as close to the side of the crowd as I could get and started snapping photos. After the first toss, Kevin and I made our way to the center of the crowd for the second. It’s where I got my best shots last time around, so I wasn’t going to pass it up this time. Right before the countdown ended, I spotted this crazy old man behind me and couldn’t help but focus on the guy for the throw. I made my way up to the front of the crowd for the next throw. Wish I would have gotten higher instead of lower, but you can still tell it’s a freaking fun time! Well, that’s it for this year. I’m sure by the time next year comes around I’ll just then be getting the remaining pigment powder out of the crevices of my camera bag and equipment. 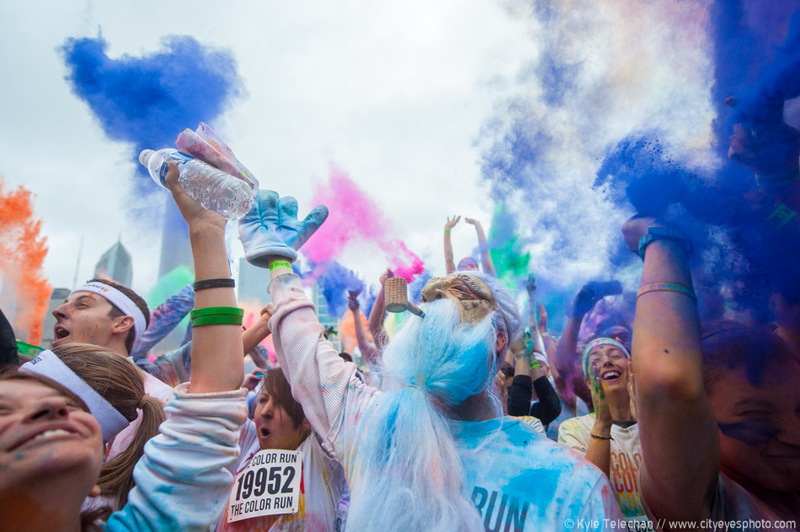 If you’re interested in running a Color Run, check out their Facebook page here.